The design and engineering team explain all of the custom details that went into the improvements on the 2019 RAM update. 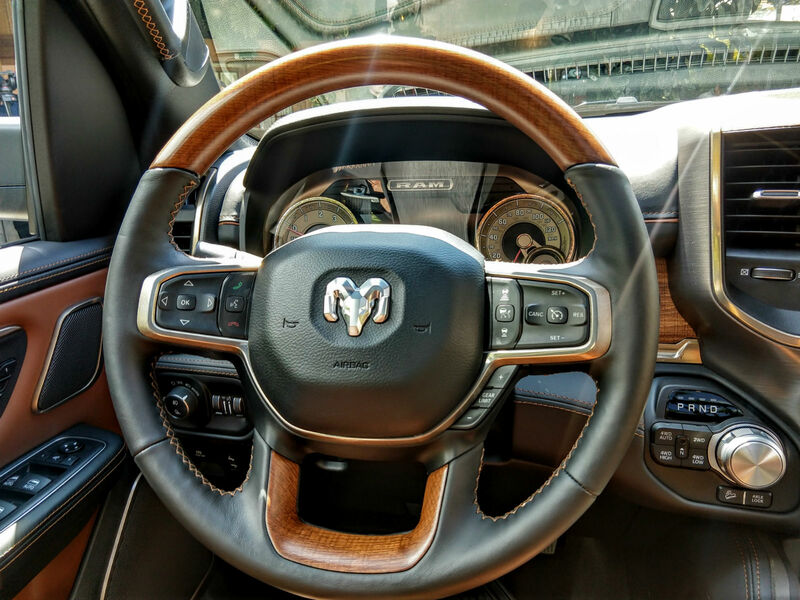 By now, most Dodge Forum enthusiasts have heard all of the glorious details regarding the completely-overhauled 2019 RAM truck, including that massive 12-inch infotainment screen. What you may not know is the unique inspiration behind the six different trim levels on the 2019 RAM 1500. 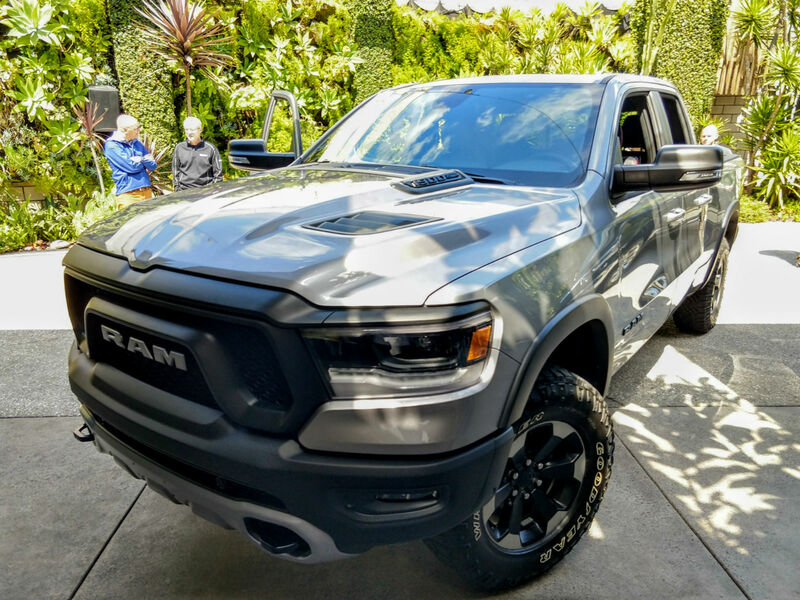 At a recent presentation in Los Angeles, we got the scoop on all of the custom details that went into the interior design and advanced engineering that makes this refresh quite significant for the RAM trucks brand. Ryan Nagode, Chief Designer of RAM Trucks Interiors, said that the team started with a trip to the hardware store for inspiration. They picked out six hammers that best represented their ideas for the six RAM truck trim levels, including the Tradesmen, BigHorn, Rebel, Laramie, LongHorn, and Limited. The hammers shaped each of the trucks trim levels on a persona basis, respectively. Is the driver someone who uses a truck for work and values utility over all other aspects? Then the Tradesmen is for them. Does the potential buyer want the ultimate in luxury materials, with space and comfort to handle a trip away from the city on the weekends? Then the Limited trim is the way to go. 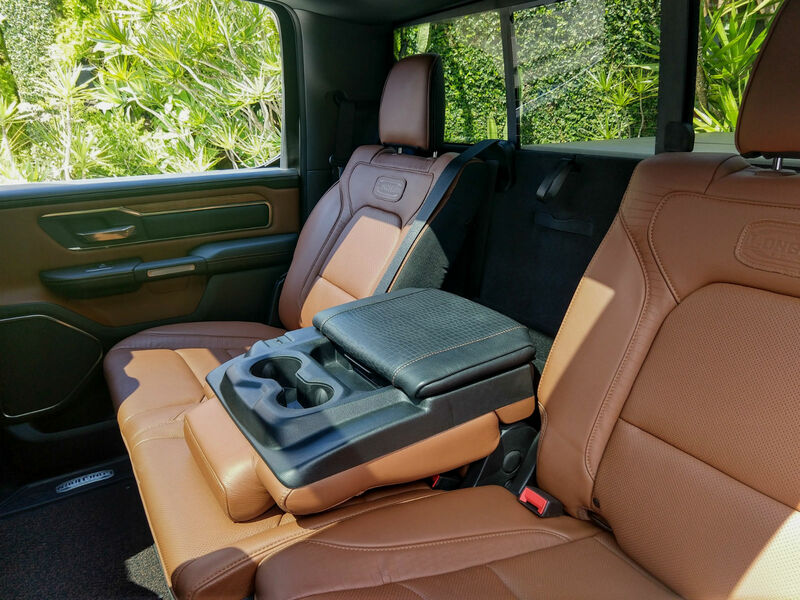 Each and every surface of the materials inside the 2019 RAM 1500 incorporated details to cater to these buyer segments. We had a chance to see two examples in person, a Laramie LongHorn and Rebel, to go over the different aspects of what makes these trim levels so special. 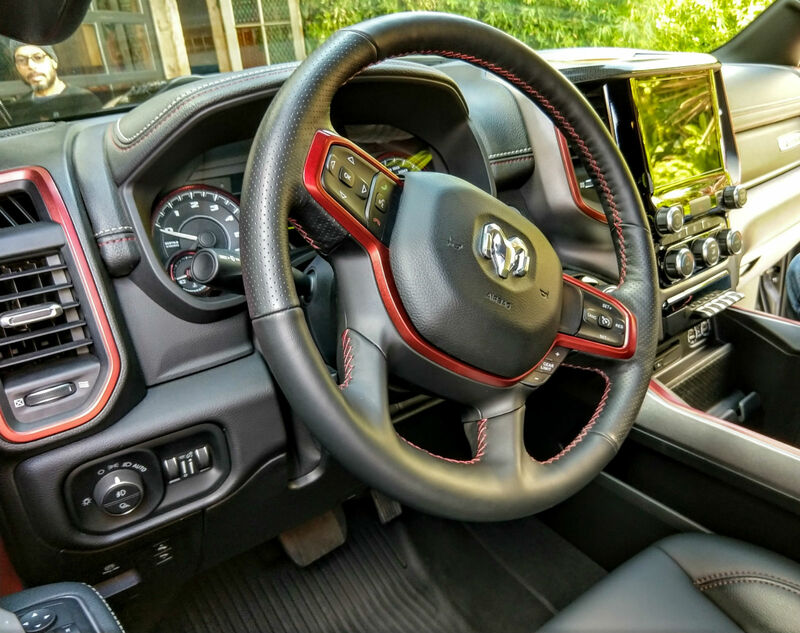 For the buyer that wants comfort and quality leather seating but has more belt buckles than cufflinks, the Laramie LongHorn trim level on the 2019 RAM 1500 is perfect! The hammer used for this one was an older, worn tool with character and was built to last. With that inspiration, the seats are draped in a deep brown Saddle Leather that looks natural and straight out of the Old West. 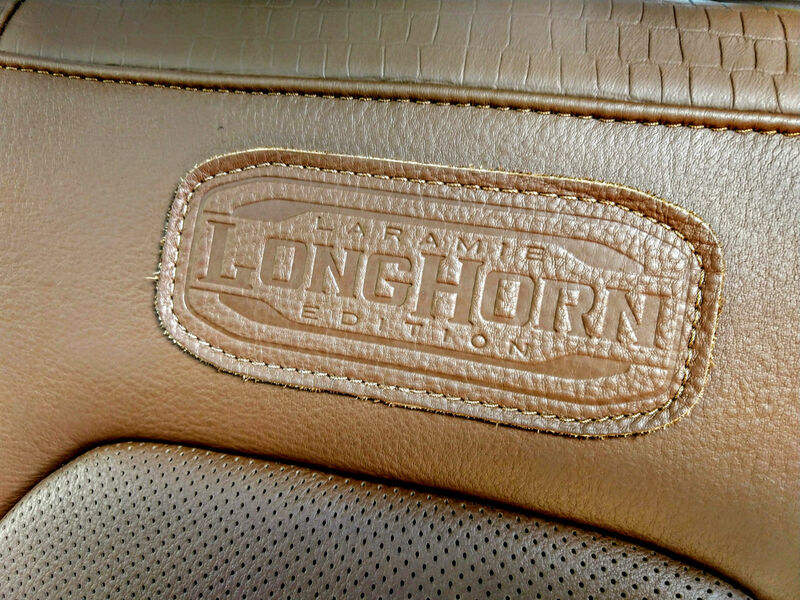 The LongHorn logo can be found embossed in leather on each seat and literally branded to the real wood dash. The design team at RAM explained that each LongHorn logo branding is slightly different, which makes each build a truly work of art. We were able to step inside and try out the new 8 percent recline feature on the rear seats, which is easily adjustable with a manual handle under the seat. Leaning back in the seat to take in the new dual-pane sunroof makes you feel like you’re inside a Mercedes S-Class more than a pickup truck. 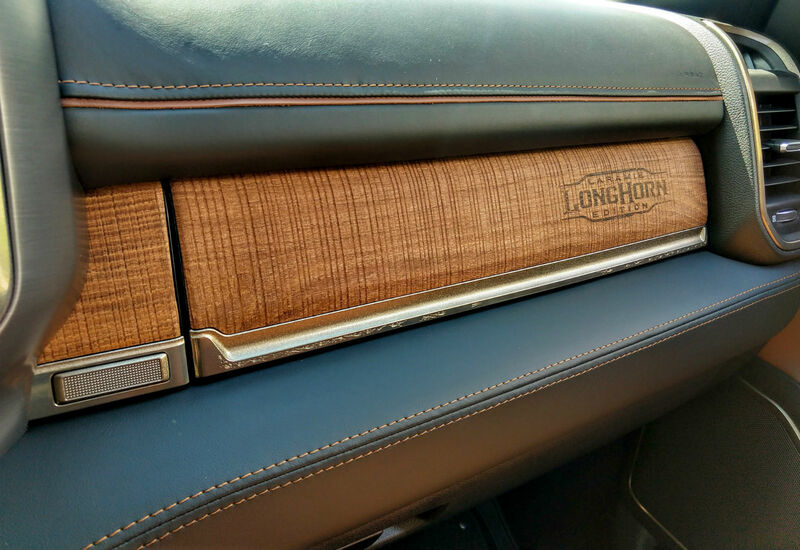 Up front, the wood and metal trim around the gauges have distinct markings that let you know you’re in a LongHorn. Some of the black leather trim elements in the interior are stamped with an alligator skin pattern to diversify the texture gamut. For the 2019 RAM Rebel, the team chose a hammer that was modern, sporty and strong. This translated well into the production vehicle, as the exterior of the Rebel we experienced was outfitted in Billet Silver paint with rather menacing black elements including the grille and wheels. 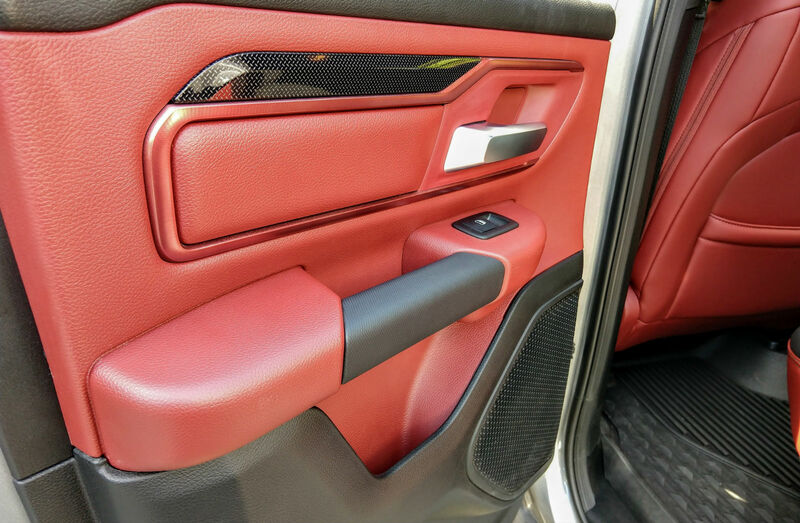 On the inside, the gauges and dash were outlined with anodized, red metal accents. 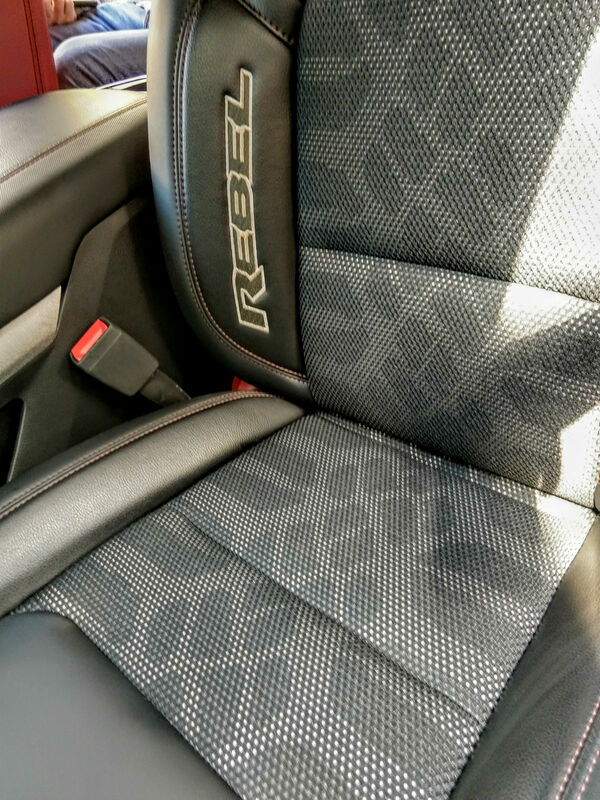 The seats were a combination of black leather (embossed with the bold “Rebel” branding) and a cloth insert with a tire tread pattern. The tread pattern for the seats is based on the aggressive Goodyear Wrangler DuraTrac tires that give the Rebel its “off-road capable” look. The design team geared this 2019 RAM Rebel toward a younger demographic who is into power sports and technology. Most of the interior incorporates a diamond platted pattern along with red leather for a style that truly matches the overall Rebel attitude. To keep all of your devices powered up, the 2019 RAM features five total USB chargers, including four of the new USB Type-C ports. Check out the video below for more details on the unique design and engineering aspects of the 2019 RAM 1500 update! Live with the Ram Trucks design and engineering team to talk about the 2019 RAM!